Sorrento is world renown for its mastery of wood inlay. 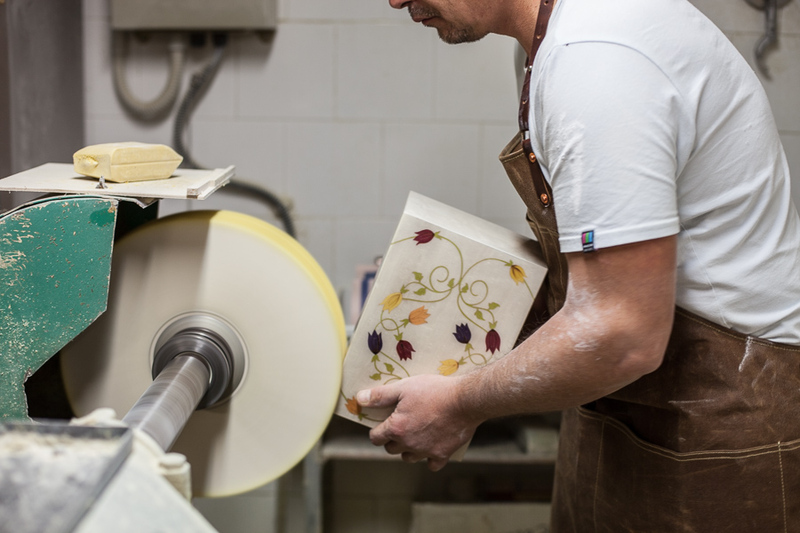 We know you want something beautiful to remember your loved one by, so we work closely with a family of skilled artisans in Sorrento, Italy, to design and craft each Granville Urns piece. 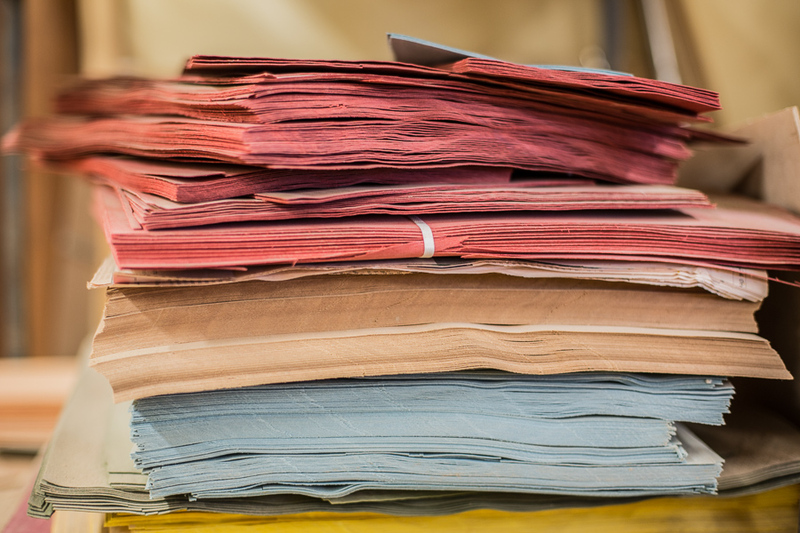 Our collections are created using a complex set of criteria including design, engineering, aesthetics, capacity requirements, and manufacturing capabilities. We spent over a year designing the initial collections, making dozens of sketches, sampling wood inlays in different colors and sizes, and creating multiple prototypes. Two of our collections are based on traditional Italian designs. Three others are new: a modern floral and two geometric designs based on classical principles. 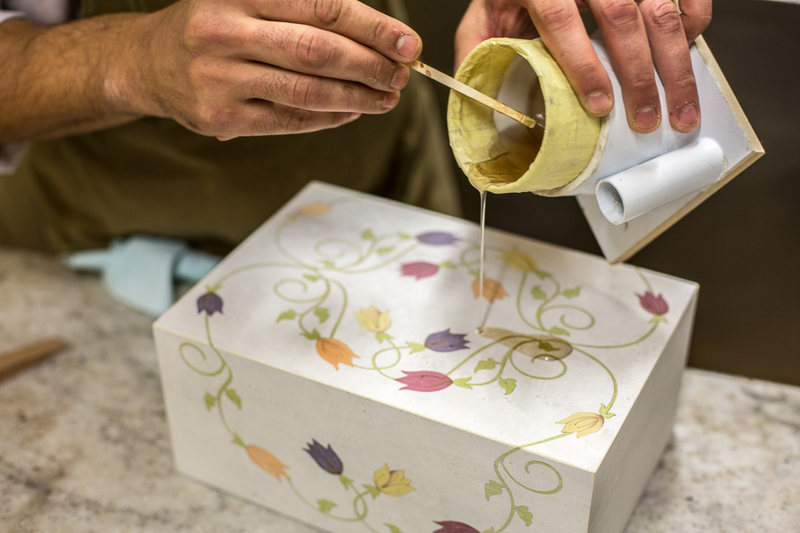 The final result marries form and function into works of art that give you and your family multiple options to permanently memorialize your loved one. The decorative wood inlay technique used in our collections is an ancient art dating back to the first dynasty in ancient Egypt. In the 15th century, Italian artisans in the southern town of Sorrento adopted the technique and have handed it down from generation to generation ever since. 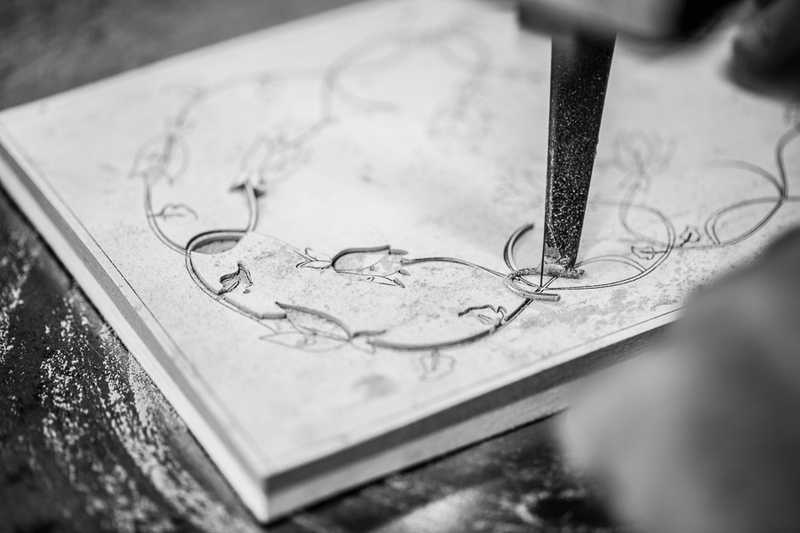 Each inlaid piece is made with the same precise attention to detail as a work of art, using the finest materials available to ensure its superior quality. The inlay design is created by hand-cutting and assembling thin pieces of wood and applying them to the surface to create a pattern. It's a complex and intricate process, with each phase building upon the last. The brilliant shiny surface is achieved through a labor-intensive lacquering process that involves applying a minimum of five layers of liquid varnish and sanding between each coat. The finish enhances the beauty of the piece, ensuring it becomes a timeless family heirloom.